Reducing your company’s carbon footprint and being friendlier to the environment are certainly “feel-good” actions, but there’s a business case to be made for going green too. There’s a strong business case for going green. Money you’re not spending on energy-hogging equipment or incandescent lighting is money that can go to the bottom line, and you can save significant waste management fees by recycling to reduce your trash output. Furthermore, investors and customers are starting to take notice of the environmental and sustainability practices of their favorite companies and brands. There’s also the widespread perception (with some basis in fact) that companies that care about sustainability are more likely to pay attention to other details, like non-wasteful financial practices. Your small business may not have the budget to install solar panels or geothermal heating, but that’s OK. You can make a significant impact through simple, inexpensive everyday practices. Here are 6 simple ways your company can make 2016 greener. When you want to take charge of your finances, step one is figuring out what you’re spending money on. Similarly, if you want to take charge of your environmental impact, you need to measure it first. How do utility bills vary throughout the year? How much paper did you buy last year? How much are you paying for waste collection? You can use online tools like the EPA’s Energy Star Portfolio Manager to measure and track energy and water consumption and carbon emissions. The results calculated by the Portfolio Manager can help you identify which buildings are under-performing in terms of energy conservation and help you determine investment priorities as well as low-hanging opportunities that let you go greener with minimal effort. Depending on where your business is located, you may pay for trash collection, yet recycle for free. 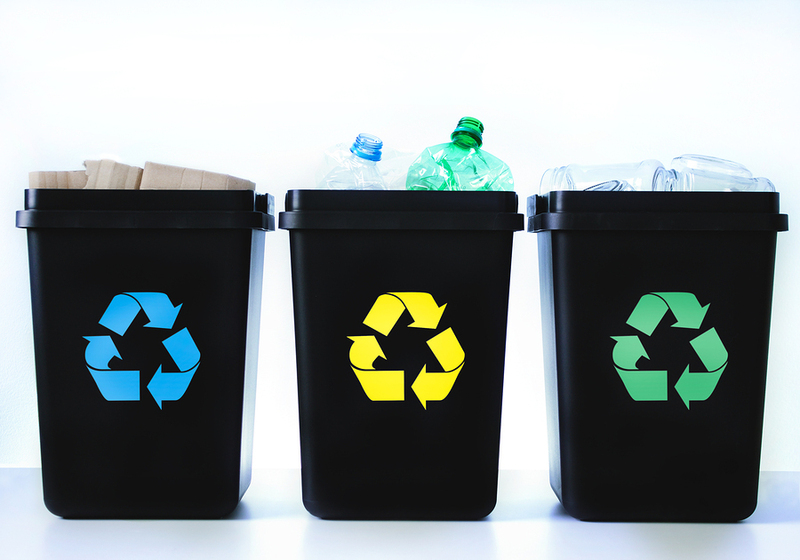 Prioritizing the diversion of waste into recyclables not only is more environmentally responsible, but can reduce your costs as well. This can be a good foundation for a sustainability strategy. You could even promote some friendly competition between paper-heavy departments as to which can divert more recyclables this quarter. And when it comes to recycling aluminum cans and plastic bottles, consider this: you’re helping make manufacturing cheaper by increasing access to recycled materials. This type of unofficial collaboration could directly benefit your suppliers who use these recycled materials, ultimately helping keep your own costs under control. Recycling is cheaper than throwing things away. Maybe you operate a tiny startup with a small budget, so replacing all your incandescent and fluorescent bulbs with LEDs in one swoop isn’t practical. Make it your practice to replace bulbs as they wear out with LED bulbs, which help cut energy bills and which are less environmentally damaging than incandescent and compact fluorescent bulbs. Yes, LED bulbs are more expensive, but a 60-watt incandescent bulb lasts 1,200 hours, while a compact fluorescent bulb lasts 8,000 hours while using 13-15 watts, and an LED bulb will only use 6 to 8 watts, while lasting for 50,000 hours. The annual energy consumption for each LED bulb is approximately 30 times lower than for the equivalent incandescent bulb, and you’ll particularly appreciate this during summer, because LEDs generate far less heat during use, lowering the burden on your cooling system. The big advantage of LEDs over CFLs is that CFLs contain mercury, while LED lights do not. While there will undoubtedly be occasions when people need to meet face-to-face with clients or attend conferences, video conferencing equipment can substantially reduce travel needs and travel expenses, while reducing your company’s carbon footprint. The cost of video conferencing equipment is reasonable, and the hardware and software are included in many business VoIP phone systems at a slight upcharge. The rewards can be significant. When a company reduces just one cross-country business trip per month, it can save over $15,000 per year in “hard” travel costs, and roughly the same amount per year in “soft” travel costs like hours lost during transit. Today, most people are used to Skype video calls, and the transition to group video conferences is not difficult for most people. Video conferencing equipment can also allow you to offer telecommuting as a perk for your personnel, keeping vehicle traffic off the road while boosting employee morale without sacrificing efficiency. Indoor foliage not only makes the workplace look more attractive, it also absorbs indoor air pollution and increases the flow of oxygen. Because the process of transpiration evaporates moisture through plant leaves, office plants keep the air humidified better in winter, and studies from Norway have shown that the presence of indoor plants can decrease problems with dry cough, sore throats, colds, and dry skin. 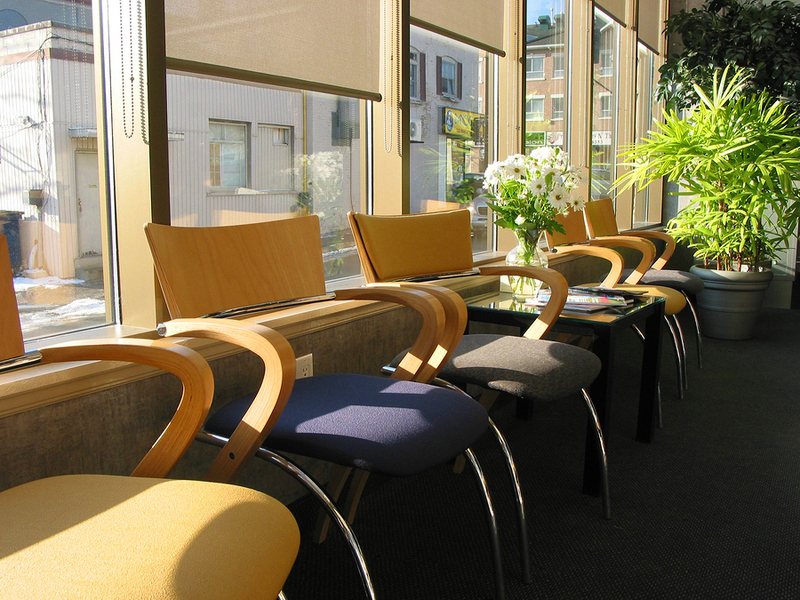 Plants look beautiful and help clean the air in your office. Improving the quality of indoor air in tightly sealed buildings (which most offices are) and helping circulate oxygen can, along with the visual appeal of plants, simply make the office a nicer place to work. Great plants for the office include peace lily, English ivy, gerbera daisies, bamboo palms, and spider plant, which are all generally easy to care for. Reusing cleaning cloths and recycling aluminum cans are important ways to make your company greener, but perhaps the most important thing you can do is reduce the need for products and activities that are hard on the environment. If your company uses paper for forms and processes, you can cut expenses, be greener, and be more efficient by creating electronic forms and workflows instead. The cheapest paper is the paper you don’t have to buy, and electronic forms and workflows cut down on paper use to a remarkable degree. Of course, you’ll cut down on ink and toner too, as well as requiring less physical storage space for paper. PerfectForms makes it easy and economical for businesses to convert inefficient paper-based forms and workflows to fast, efficient electronic ones. And you can create electronic survey forms that look exactly like your paper forms, so the learning curve is minimal for the form users. 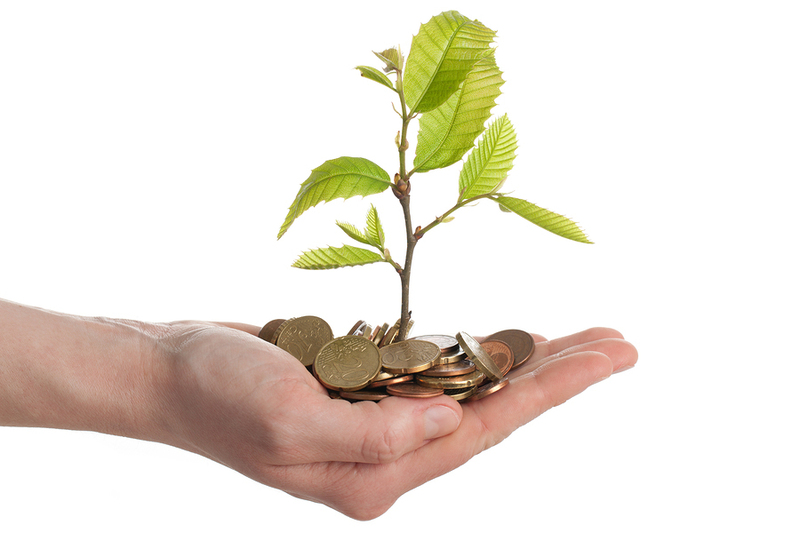 Your business will save time and money, and deal with fewer errors, all while being more environmentally responsible. And you don’t have to know how to program due to PerfectForms intuitive drag-and-drop interface. Have a look at our demo and see for yourself how much of a difference PerfectForms can make when you want to make your company greener. This entry was posted on Thursday, January 14th, 2016 at 4:06 pm	and is filed under Workflow. You can follow any responses to this entry through the RSS 2.0 feed.